Living into elder years is a privilege, made better when surrounded by caring family and friends. Having the support you need when activities of daily living (ADLs)–like showering, bathing, dressing, and fixing meals–become challenging, will help families and loved ones enjoy their elder years with dignity. It may be time to consider a live-in caregiver. When a lot of care is needed, or long periods of care and vigilance, it is often most economical and practical to hire a live-in caregiver. Retire-At-Home Services, as well as many other home care agencies in Toronto, offers a live-in care program. Live-in care will be more economical than taking hourly services from a company or staff of caregivers. Money is saved with live-in care, because the caregiver is paid on a daily or weekly stipend, rather than an hourly wage. Hire a home health care company in Toronto to supply you with certified personal support workers (PSWs) who have a known work history, criminal record check, training, and supervision. The company will look after scheduling and providing back-up staff whenever a PSW is ill or is taking vacation. Place an ad and hire your own workers. You will have to do the interviewing, reference checks, scheduling, supervision, and payroll yourself. If you are already short of time and energy, this may not solve a lot of your problems as you will have to supervise the employee and deal with their scheduling problems – two very time-consuming activities. Apply to an agency for permanent placement of a live-in caregiver. A company like Diamond Personnel here in Toronto will find and vet you an overseas caregiver that will live with your loved one. Diamond Personnel will help you sponsor an overseas caregiver to Toronto; fill out government paperwork and handle all of the immigration documentation. It usually takes a year to receive the caregiver. While waiting, you can hire a home health care agency in Toronto to fill in until the permanent caregiver arrives. Is a live-in caregiver right for you? There are certain criteria that have to be met when considering live-in care for your parents or loved one. 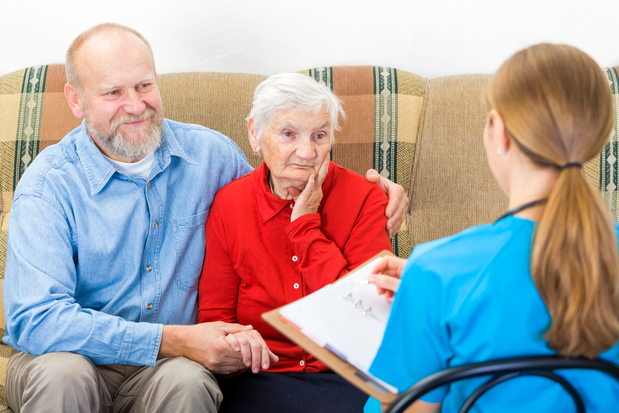 It is important to treat the hired caregiver with respect and fairness. Hiring a reputable home care company to staff your live-in needs will ensure that the staff are treated within the Ontario labour laws. Keeping happy and healthy staff is always beneficial to the cared-for family, because content staff are the best workers. The caregiver should have their own room and their own bed to sleep in. Living in someone’s home is difficult, so it is important that the caregiver gets to retreat to their own space (no matter how small or rustic) in the evenings and overnight. The caregiver must be allowed to sleep for 8 hours per night. This criterion often eliminates the possibility of live-in care in Toronto for loved-ones with Alzheimer’s or dementia. Those that need Alzheimer’s care are often up and awake during the night. It will be impossible for the live-in caregiver to work all day, and then be awake and vigilant in the night when your loved one is up and requiring attention. Another important consideration is time off. A home care company in Toronto will supply you with two PSWs that will take turns working each week. Having one PSW work 3 days and 3 nights, while the other works 4 days and 4 nights allows the staff to have a break and be rejuvenated to come back to work and give the high quality care. Live-in care is a wonderful service for those needing peace of mind around the clock. Although the caregiver is expected to sleep for 8 hours during the night, the caregiver is available for emergency situations if your loved one needs help. Having someone else in the house with your family or loved one can put families at ease.